Crash Bandicoot N Sane Trilogy Crashes No. 1 Spot in the U.K. Crash Bandicoot N. Sane Trilogy Crashes No. 1 Spot in the U.K.
After sitting on the market for a whole year, developer Vicarious Visions’ remake of the classic mascot platformer, Crash Bandicoot N. Sane Trilogy, has crashed to the number one spot in the U.K. sales charts. According to Ukie, a site that supports the U.K.’s games and interactive entertainment industry, Crash Bandicoot N. Sane Trilogy has jumped from the number 22 spot to take number one, beating out Ubisoft’s recently released The Crew 2 – which sits at the number two spot – and pushing Nintendo’s Mario Tennis Aces down to the number four spot and EA’s Fifa 18 down to the number 3 spot. This puts the bandicoot at eight total weeks of being number one. At the end of June, publisher Activision and Vicarious Visions announced that a new level would be coming to the Crash Bandicoot N. Sane Trilogy. 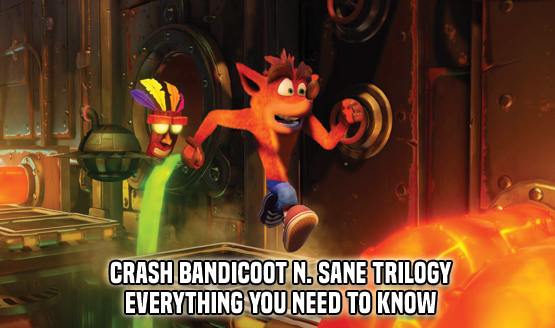 Specifically for Crash Bandicoot 3: Warped, the new level, titled Future Tense, is “described as another fairly difficult level that will have players dodging rockets, destroying robots, and avoiding lasers as they climb a futuristic skyscraper.” Additionally, Crash Bandicoot N. Sane Trilogy was ported over to the Nintendo Switch, PC, and Xbox One on June 29, 2018. These two announcements probably helped propel Crash to the number one spot after sitting at number 22 for a while. Crash Bandicoot N.Sane Trilogy is available on Nintendo Switch, PC, PlayStation 4, and Xbox One.